The old Jeep my paternal grandparents gave me fifty years ago a month before I turned 16 was already nearly as old as I was. We had grown up together. It didn’t have a radio or turn signals, which weren’t common until 1955, or seat belts, which were only becoming common place at the time, and it predated side view mirrors, which were not yet common even on the driver’s side. Anyone riding in the passenger seat had to use a handle to manually operate their windshield wiper from side to side. The original paint had worn off so my grandmother Adah hand-painted it the original red leaving brush strokes as a reminder. Honest…you can’t make this stuff up! It had plenty of torque, but the top end was between 45 and 50 mph. Marketed as the MC “war wagon,” it was before the “sport” was put in SUV. But I loved that Jeep, and even with years of wear and tear around the ranch and the smell of fumes from the gas tank, it was a hit at school, although not the “chick magnet” my daughter called Jeeps of this type when she reached that age. Apparently, my mom read him the riot act when she learned, but Ott had twice been mayor of Ashton, and besides, my uncle Louie was probably downstairs playing poker. Slot machines and gaming tables games had been outlawed in Idaho when I was born but in my early years I would still see slots in the entrances of old cafes in remote areas such as ours. Idaho voters banned both again during my early years but in places such as Ott’s that just meant they were placed out of sight. Waiting for my grandfather, I would sit on a barstool next to the big picture window in front thumbing through the town calendar with everyone’s birthday on it including surrounding ranch and farm families. After a little less than a mile on the trip to town, the narrow gravel road dropped steeply down from a bluff to the Henry’s Fork of the Snake River, then crossed over the old Ora bridge beside which I learned to fly-fish long before that river became world-famous. As the road climbed back up the other side it was suddenly as though you could reach out and touch the Grand Teton Mountains 15 miles to the east. 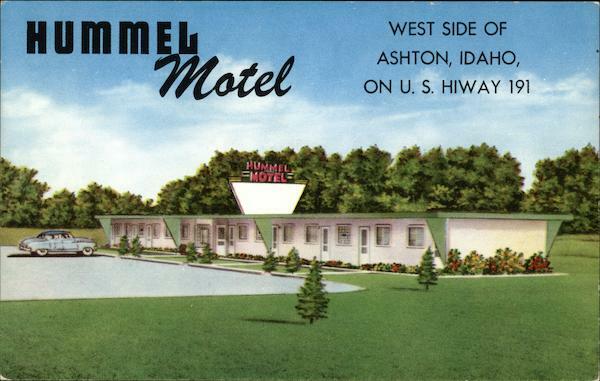 Ashton, Idaho, then not quite 50 years old, was at its peak population of 1,200 residents. Its founders had a real estate business along with a drug store and fountain a couple of doors west of Ott’s where we would stop next. Out front, my grandfather would “kick the tires” with an old friend, Charles C. Moore, who he always called “governor” because a few decades earlier he had been elected from that remote Yellowstone-Teton nook to two terms as the Governor of Idaho. This was in the 1920s. Any prescriptions had to be dispensed by Dr. Hargis though, a friend of my grandmother’s who had also been there since the founding and still made house—or in our case ranch—calls, and would for many years hence, although my parents made a mid-summer dash 50 miles downriver to the nearest hospital for my birth. On each trip, we would drive past the Hummel Motel where a few months after it opened our family took a respite with our friends the Long’s, from cabin fever when our ranch was snowed in much of the winter. Re-clad in logs and river stone, it is the famed Angler’s Inn today. Back then schools didn’t close when the road closed to buses after a huge snow storm, so my dad would drive that Jeep through the drifts picking up four or five other schoolmates we collected along the way. Dad hated school when he was that age attending a two-room school house just north of the ranch. Back then my grandmother, who served on the school board for more than twenty years, also boarded eight school teachers in our small ranch house. If the buses still weren’t able to run when school let out, I would wait at my aunt Deon’s until dad could pick me up. I always thought my old Jeep had been selected because my dad saw them used during in WWII by the Army, but I’ve since pieced together that my grandparents had been partial to Willys-Overland vehicles in the 1920s. J.N. Willys was a serial entrepreneur who parlayed a bicycle distributorship into ownership of a firearms store called the Elmira Arms Co. which was also a manufacturers rep (wholesaler–go-between to dealerships) for cars such as the Pierce Arrow and the Overland Motor Companies Runabout. 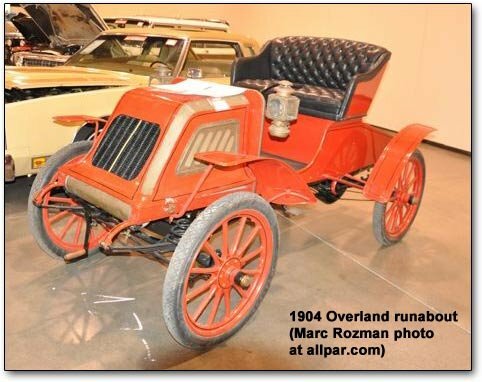 When Overland ran into financial trouble, Willys bought it in 1908, scooped up some related technology suppliers, and renamed it Willys-Overland which was soon the largest manufacturer behind Ford, increasing annual output from 400 cars to 200,000 in eight years while relocating manufacturing to Toledo where Jeeps are still made today. In 1926, Willys-Overland launched a very advanced touring car branded the Whippet. My homesteading grandparents had done pretty well during WWI providing draft horses to agents who came through on behalf of the British and American armies. They had switched to cattle during the roaring ‘20s and that’s when my grandfather fell in love with the Whippet and bought one of the Model 96 touring cars. That’s my dad sitting on the hood in the image in this essay so that Whippet is probably a model year 1927. By the time I was first taking rides in our Willy’s Jeep, I had discovered that Whippet abandoned in a grove of trees south of our meadow next to an old buckboard buggy. At first I mistook it for a Ford Model A. But my grandfather quickly filled me in on the difference. The two cars were contemporaries but the Whippet came first and was in some ways technologically advanced, although the Ford Model A was far more prolific. Linked is a Whippet the same vintage as my grandparent’s on display in a Pennsylvania antique car museum today. It cost $750 before upgrades when they bought it. His was probably closer to $1,000 with the larger engine. Seating five, it was still the most compact of American cars back then, setting speed and endurance records during a 24-hour race at the Indianapolis Speedway when the track was truly brick. I still manifest those Willys’ roots today. I enjoy reading your stories about your youth. You have a splendid memory! Also enjoy the ongoing stream of info about the tourism/convention industry. Keep up the good work Reyn!